Hiring reliable Spokane construction site accident attorneys can make or break a third party injury claim. Learn how our attorneys can serve you today! At Russell & Hill, PLLC, we are dedicated to serving those who have been injured in a Spokane construction site accident. We work tirelessly to help you get full and fair compensation for your medical bills, lost wages, suffering, and other difficult losses. Our experienced attorneys have served injured individuals throughout the Spokane area for many years. We actively pursue third-party claims for anyone injured on a construction site, striving to provide the best representation and highest quality results. To learn more about our Spokane construction site accident lawyers, call toll-free at 509-204-9701 or fill out our free evaluation form. Initial consultations are free, so don’t hesitate to contact us today! Third-party bodily injury claims can be a real option for construction workers injured on the job. In some situations, the situation is covered by workers’ compensation, which prevents the injured party from suing their employer. However, if the injury is caused by the negligence of a third party, such as a general contractor or property owner, you have the right to file a personal injury claim against that third party. The claim payout will be in addition to the workers’ compensation, which will be supplied by your direct employer. The personal injury attorneys at Russell & Hill, PLLC have handled many third party claims after construction site accidents. We channel our vast experience into every new case, using the knowledge we’ve gathered to best help you obtain maximum compensation. Our team of construction site accident attorneys is skilled at investigating every piece of a case. For example, a recent client was injured while working as a plumber on a construction site. Leftover drywall debris caused him to slip and be injured. While he initially thought that the workers’ comp laws would prevent him from filing a claim, our attorneys pursued the case and proved that our client’s injuries were caused by a negligent third party. The client was able to win full damages. In another case, the injured party fell from the second story of a house he was working on. Like other construction site accidents, he collected workers’ compensation benefits from his employer, but we were able to get additional financial compensation for our client after discovering that a third party neglected to build a railing where he fell. On the job injuries are common and can be life altering. In many cases, an injured worker’s only option for compensation for injuries is worker’s compensation. One exception to this general rule is an injury suffered by a worker on a construction site. Given the boom in construction in the greater Seattle area, construction workers and their families must be protected. If you are injured in a construction site accident, please contact the attorneys at Russell & Hill, to discuss the key points and issues that may affect you. Why is a construction site injury different? The two biggest differences between a construction site injury and other on-the-job injuries are: (1) who is responsible for compensating the injured worker and (2) the type of compensation available. In virtually all cases of on-the-job injury, a worker can turn to worker’s compensation for payment of medical bills and a portion of lost wages. Typically, workers are limited to only the benefits available through worker’s compensation. This means that the worker is usually not fully compensated and has no other option for compensation. This is because employees cannot sue their own employees for on the job injuries in almost every circumstance. While worker’s compensation benefits are available to those injured on construction sites, it is likely that a worker can seek additional compensation. 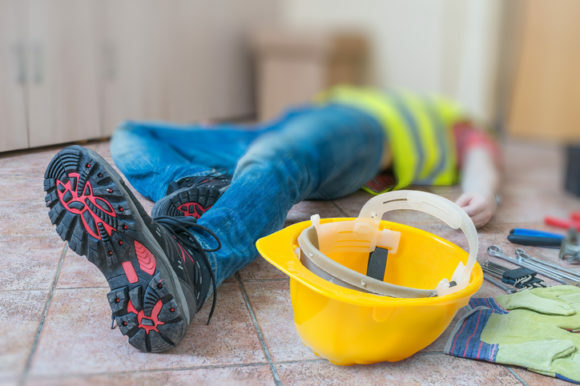 This is because the injured worker can make a claim for damages against companies working at the construction site that have negligently caused the worker’s injuries. While an injured worker cannot sue his own employer for causing an injury, he can sue the other companies on site who caused his injury. This option is important because it allows an injured worker to be fully compensated. He can recover all his damages including medical bills, the full amount of his wage loss, pain and suffering, and disability. The law in Washington is clear that a general contractor owes a duty to provide a safe work site. This duty applies to all those people working on a job site. The general contractor cannot delegate this duty to a subcontractor. Ultimately, the general contractor is responsible for maintaining job site safety. In addition, a subcontractor can be held legally responsible for injuries caused by its negligence. So, it is very typical that an injured construction worker will seek compensation from the general contractor and subcontractors, as long as those companies are not his own employer. Here is an example: a painter falls from unsafe scaffolding at a construction site. The painter could seek compensation from both scaffolding subcontractor and the general contractor. The scaffolding contractor is at fault for proving unsafe scaffolding and the general contractor is at fault for failing to provide the painter a safe work space. So, when you are injured, who pays your damages? Initially, worker’s compensation benefits will cover your medical bills and part of your wages. 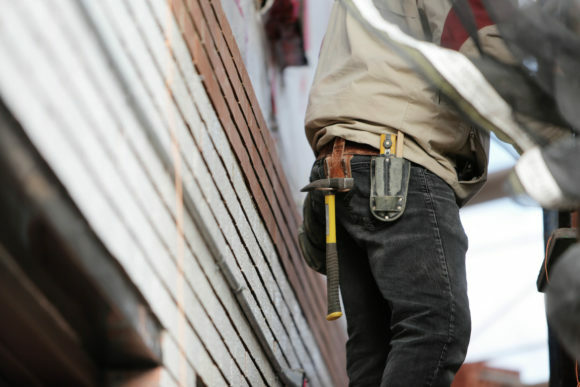 It is important to know, though, that if you make a claim against the general contractor or a subcontractor, you must pay the worker’s compensation benefits back. A claim against the general contractor/subcontractor will be made to the insurance companies for those companies. 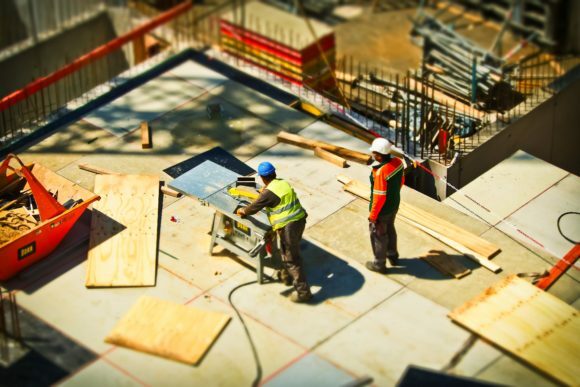 As it may seem, a construction site injury can be quite complicated and you will need experienced and aggressive counsel to make sure you are fully compensated and properly taken care of. At Russell & Hill, our attorneys are ready to help you through the web of issues after being hurt on a construction site. For more information on our construction site accident services, our attorneys are ready and equipped to represent you today. We offer free initial consultations, and, should we pursue your case, we provide a thorough investigation of the injury and construction site. We know that workers’ compensation is not always enough; we are dedicated to helping Spokane area residents get the financial damages they deserve. Call today at 509-204-9701 or fill out our online consultation form.